Treat you & your family to non-chlorine pool sanitation that provides clean, clear & fresh-feeling water. Using patented technology for advanced oxidation pool treatment, Clear Comfort whisks you away to a refreshing & blissful swimming experience in clean, crystal clear water. Clean, clear and silky-feeling water you and your family will love. Healthy, premium water without chlorine’s harmful effects. Eliminate chlorine & salt handling, storing and spread into our ecosystem. Clear Comfort reduces your exposure to toxic chemicals in and around your home using a low-chemical pool and hot tub system. Inspired by nature, Clear Comfort’s technology produces powerful hydroxyl radicals that destroy contaminants on contact & eliminate the harmful disinfection byproducts created during chlorine sanitation. With Clear Comfort’s low-chlorine water treatment system, you’ll notice the soft feeling of clean, clear water and the revitalizing difference on your skin, eyes & hair. With the elimination of disinfection byproducts, you’ll be able to breathe deeply without the heavy scent of chlorine. 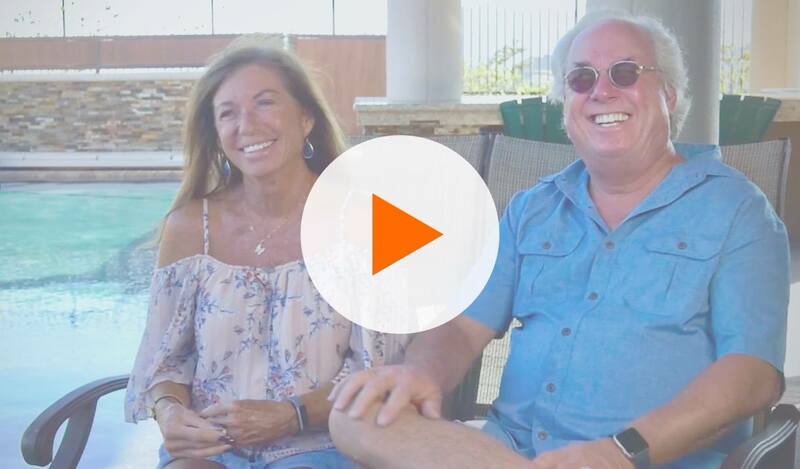 See what real customers have to say about their low-chemical pool disinfection systems. We have provided various homes and aquatic centers with our specialized systems and they have noticed the difference! 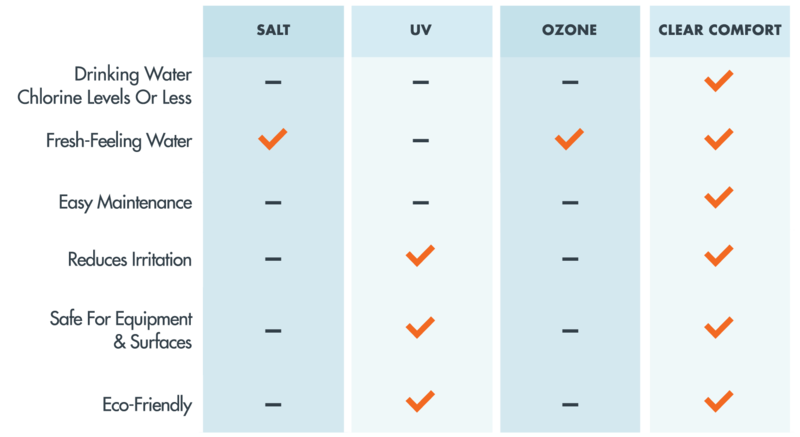 Salt systems generate chlorine, while ozone & UV pool systems require typical levels of chlorine for residual sanitation. With Clear Comfort’s advanced oxidation pool treatment, you can reduce your chlorine level to what is right for you. In addition, Clear Comfort’s pool systems are protected with a 90-day money-back guarantee. Learn more about how Clear Comfort compares. Download the CCW100 product sheet to learn more. Download the CCW50 product sheet to learn more. How Can I Get Clear Comfort Low-Chlorine Pool & Spa Systems? Find a dealer or pool service provider in your area that carries Clear Comfort’s low-chlorine pool & spa sanitation systems.